The materials of Kraft Liner Board Machine can adopt waste paper box, kraft paper is generally two layers, the raw materials used for the surface layer are better, the bottom layer can be used with poor quality, and the same raw material is also used. The linerboard maked by Our company machine Kraft Liner Board Machine has the advantages of the strong resistance to water and moisture, can be used to manufacture foreign trade packaging cartons and domestic high-end goods packaging cartons. The four-layer network is a surface layer network, a lining network, a core layer network, and a bottom layer network, each is equipped with a forming net. Front drying section: Φ1500/Φ1800 drying cylinder, group drive, distribution net roller, dry net. With a closed hood, after drying section: Φ1500/Φ1800 drying cylinder, group drive, distribution net roller, dry net. With a closed hood. 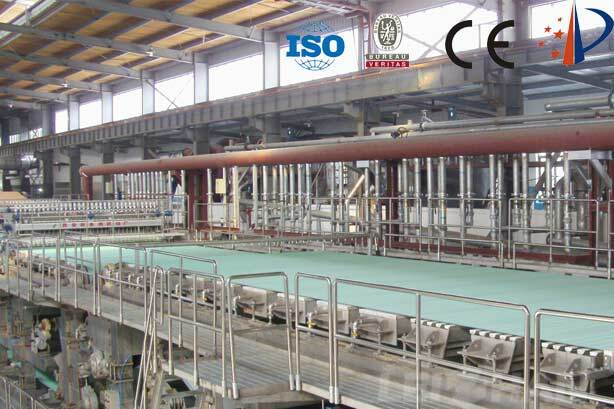 Welcome to consult with us and visit our machine factory, the good quality and advanced technology Kraft Liner Board Machine will satisfy you.